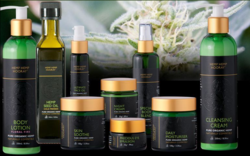 Hemp Hemp Hooray products—the premier all-natural organic hemp oil beauty products imported from Australia—are perfect for acne-prone skin, eczema, psoriasis, shingles and bed sores. Teaming up with Hemp Hemp Hooray has given us the opportunity to learn more about hemp skin care and wellness products. We are proud to offer such a quality product line to our patients. 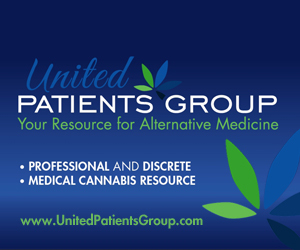 Medical marijuana patient resource website UnitedPatientsGroup.com is helping show the world that hemp is good medicine. In partnership with Australian skincare pioneer Hemp Hemp Hooray, United Patients Group is working to teach the world about the nourishing and restorative powers of hemp seed oil. Hemp Hemp Hooray helps acne-prone skin; dry, cracked, damaged skin, in addition to eczema, psoriasis, shingles and bed sores. Formulated with organic hemp seed oil, vegetable oils, butters, and essential oils, Hemp Hemp Hooray products offer all eco- and health-conscious consumers natural solutions to common skin conditions. Containing organic hemp seed oil, witch hazel floral water, myrrh tincture, and essential oils, Skin Soothe’s antioxidant, astringent, anti-bacterial, and anti-fungal properties help heal wounds and reduce redness and itching. Skin Soothe is a versatile topical skin cream that can be used on skin that is prone to eczema, psoriasis, rashes, and acne. It works nicely as a calming aftershave, and its effectiveness as a treatment for minor burns, cuts, abrasions, and insect bites making it a perfect addition to first-aid kits. Organically grown, pure hemp seed oil, almond oil, shea butter, and cocoa butter are cradled in a base of rose floral water to create a lightly textured moisturizer that gently feeds the skin and nurtures the spirit. Daily Moisturizer can be used under makeup or applied anytime of the day when skin needs quick re-hydration. Organic hemp seed oil, shea butter, avocado and apricot kernel oils have been carefully combined with essential oils of jasmine, frankincense, and palmarosa to create this very popular cream that brings fast relief to dry and sun-damaged skin. Jasmine is suitable for all skin types including dry, greasy, irritated, and sensitive. Frankincense is ideal for older, mature skin types; it has a tonic effect that is said to help restore tone and elasticity to aging, slack facial skin. Palmarosa stimulates cellular regeneration while hydrating and helping to balance sebum (oil) production of the skin. Cypress and fennel reduce fluid retention and puffiness around the eyes, while carrot oil works to reduce the appearance of fine lines. Combined with the soothing properties of chamomile and aloe vera in a moisture-rich base of hemp seed oil and shea butter, this light, penetrating emulsion soothes, protects, and helps restore tone and elasticity to skin. Precious Eye Emulsion is excellent both in the morning and at night after removing eye makeup to refresh and revitalize. A nurturing blend of organic hemp oil, jojoba, apricot kernel oil, shea and cocoa butters—combined with the sensual delights of organic patchouli, geranium, and lavender oils—nourishes the body and balances the spirit. The essential oils in this blend hold restorative, tonic, rejuvenating, and uplifting properties. Suitable for all skin types—especially acne-prone or sensitive skin—this cleansing cream won’t sting, making it great for removing eye makeup. Simply dampen the face, massage cleanser in a circular motion around the eyes and face, and wash off with warm water and a soft cloth. Organic lime and chamomile delight skin with a refreshing tingle. EFA rich, light-penetrating hemp seed oil replaces lost moisture to gently feed the skin. Essential oils of black pepper and ylang ylang help boost circulation to the supportive tissues underneath the skin. This helps remove toxins and leaves skin looking fresher and firmer. Perfect for nightly use or as a serum before applying moisturizer. Massage this special blend of organic oils into tired, aching muscles and joints, or use it as an all-over body blend to relax and unwind. Contains hemp seed oil, sweet almond oil, pure apricot kernel oil, certified-organic jojoba oil, natural non-GMO vitamin E, and certified-organic essential oils of lavender, chamomile, marjoram, bergamot, and cypress. A blend of organic hemp seed oil, sweet almond oil, organic jojoba and avocado oils, and essential oils of bergamot, lemon, and ylang ylang uplift, de-stress, and nurture mothers-to-be. For more information about United Patients Group call (415) 524-8099 or visit UnitedPatientsGroup.com.